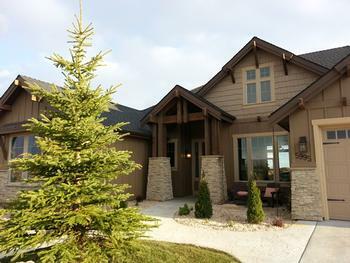 Immaculate and Stunning Tuscany / Andalusian Design with an open floor plan, and 2,836 sq. ft. of Luxury Living Space! You’ll enjoy relaxing in this gorgeous and comfortably Modern Interior that features 3 to 4 Bedrooms plus an Office. A stunning stone entry tower gives this unique home incredible curb appeal that you’ll love calling home! Inside, you’ll enjoy spending time in the Great Room with its soaring windows, 12 foot ceilings, stone fireplace with wall to wall floating hearth and built-in media cabinets. The modern Kitchen and spacious Dining Room are perfect for holiday gatherings or everyday enjoyment. You’ll love relaxing in the spacious and spa-like Master Suite which features dual vanity sinks, a 6 foot soaker tub, a gorgeous walk-in shower and large walk-in closet. The Optional and Spacious Media Room can double as a private Guest Suite. 3 Patio areas will give your family and guests plenty of room to spread out and enjoy life! 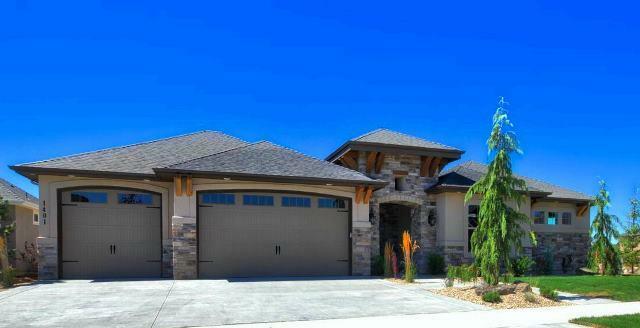 “THE CASCADE” by IMAGE HOMES, located at the Legacy-Snoqualmie Falls Subdivision in Eagle. Conveniently located near Linder Road and State Street, this wonderful new single story home features 2,998 square feet. 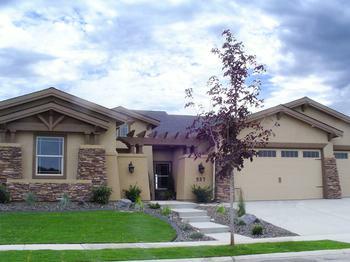 Be one the first to view this upgraded masterpiece by IMAGE HOMES. IMAGE HOMES presents the “Timbercrest” model, our latest in our series of Mountain Craftsman designs that everybody seems to love. 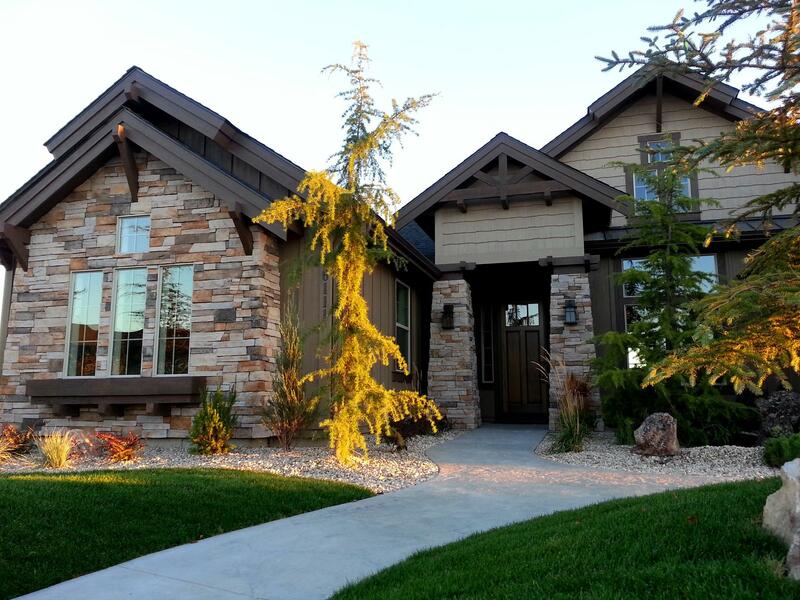 The first time you drive up to see the stunning Sun Valley Style home, you are drawn to the curb appeal and mountain style landscape that sets this house apart from other homes. With 2,997 sq. ft. of room and 3 patios, there is plenty of room for the whole family to relax and find their favorite getaway. The large Kitchen features a huge island and plenty of storage. Featuring 4 bedrooms plus an office, the 4th bedroom doubles as a Media Room or Guest Suite. Enjoy the high 12 foot ceilings in the major rooms, wide hallway, and the generous use of windows throughout this home. Welcome to the "Santo Stefano”. This wonderfully designed Tuscany/Andalusian style single level features 4 patios, an open floor plan and tons of windows! 3 to 5 bedrooms includes 2 flex rooms, 3 baths and 2,960 sq. ft. of luxury living space. The huge gourmet kitchen includes granite countertops, upgraded appliances, a huge island and plenty of storage. Magnificent touches include a beamed Great Room ceiling, stone fireplace with a raised floating hearth and an alluring Entry Hallway featuring art niches and views to the courtyard. Stand out from the rest with this stunning Santa Barbara Spanish Design! This 2,846 sq. ft. single level features a prominent tower entry and courtyard plus a huge covered rear patio, perfect for entertaining family and friends. The Kitchen and Great Room are unforgettable and feature tons of upgrades. The large Master Suite has access to the rear Patio. It boasts a large Laundry Room plus a 3 to 4 Car Garage and full stucco and stone exterior. Fantastic price for the incredible curb appeal you'll love to come home to! You'll love coming home to this wonderful single level with 3 to 4 bedrooms and 3 bath design. This home features a Great Room plus a large Flex Room that's the perfect size to use as a main level Bonus Room. 2,599 sq. ft.